I send you one of the northern sky beautiful GC, M. 15! I used pen (ink) for the stars on white paper and inverted. The observation was made from outside Trondheim, Norway. I look foreward to comet Panstarrs and expecially C/ ISON which perhaps will become a comet of the historic class! Then I will make some up-to-date sketches! Best wishes to all observers and good luck !! 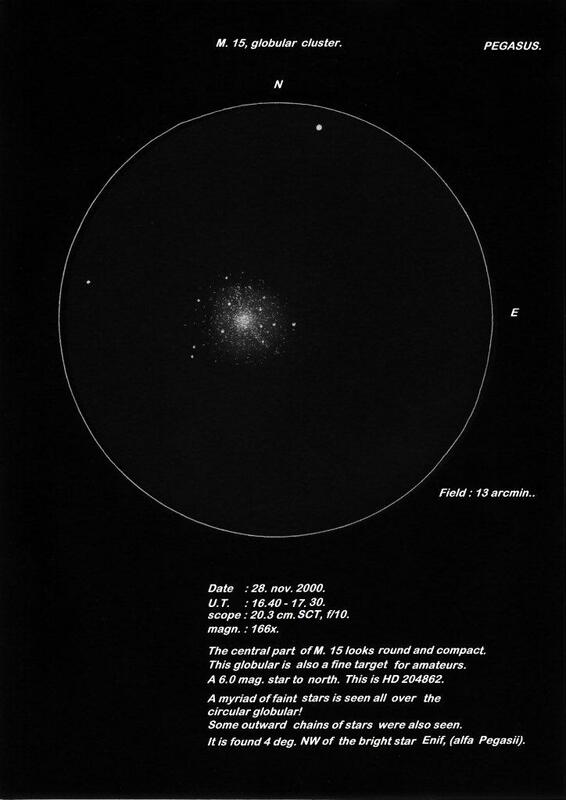 This is a fine capture of a real favorite globular with beautiful curved arcs of stars as seen at the eyepiece.